Accommodation have been splitted by resort: small captions will follow you to choose the fitter place. For every place a further distinction was made between hotels, inns and bed and breakfasts: by clicking on your preferred typology you can search for your room in the Venice Lagoon. Anyway there are not always accommodation in each venetian lagoon's resort: in this case the nearest accommmodation will be shown. The well-known island of lace and coloured houses. Home of big artists like Baldassarre Galuppi and Remigio Barbaro, as well as inspirer of Arte Buranella. Places to visit: Baldassarre Galuppi's Square and Statue, Lace Museum, St. Martino Bishop's Church (in which you can find "La Crocifissione" by Giambattista Tiepolo). Appartments, holiday lettings and homes in Burano. Bridged over Burano, it's a green and peace oasis which houses the playground, the ancient St. Caterina's Church and the indoor sports arena. Places to visit: Santa Caterina's Monastery, Cemetery with marble facade by Remigio Barbaro. The first land settlement in the Lagoon of Venice, today it has only a dozen of inhabitants. It seems an open-air museum and it is the most striking place among the islands. Places to visit: Devil's Bridge, Attila's Throne, Palazzo del Consiglio, Torcello's Old Town Hall and Museum, Outdoor Baptistery, Bell Tower and Martyrium Cupola, Santa Maria Assunta's Cathedral, Santa Fosca's Basilica. 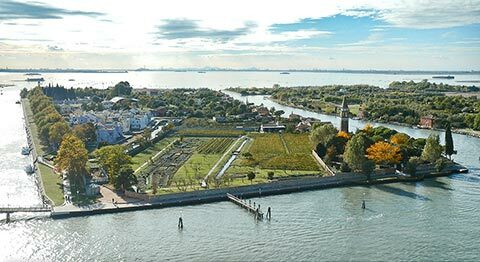 The ancient lido of the Venice Lagoon, today a farming and peaceful place. Places to visit: Sant'Erasmo's fort with its tower, the Torre Massimiliana. Once time ago Treporti was an important crossroads between the inhabitants of islands and the hinterland's ones. Today it's a beautiful residential and agricultural zone, as well as the site of cars' terminal and of a very efficient dock for simple boats but also for yatches. The most important resort in Cavallino-Treporti's Riviera. It offers a very good combination of beaches, culture and fun. In fact it is convenient for tours to island and for reaching Jesolo. Moreover the prices are very cheap. The ancient marinara republic, as well as one of the seven wonders of the world. Places to visit: St. Mark's Square and Basilica, Palazzo Ducale, Bovolo Contarini's staircase, Rialto Bridge, Salute's Basilica, Constitution's Bridge (by Calatrava). Venetian Lido, site of most important events like the "Cinema Festival of Venice", it is well-known for its "capanne" (huts) in the beach. Places to visit: Murazzi, Riviera, Jewish Cemetery, Lungomare Marconi, Lungomare D'Annunzio, Blue Moon, Cinema Festival of Venice. The island of the well-known and loved in every part of the world glass. Convenient for the airport and the railway station. It's only 5 minutes by boat far from Venice. Places to visit: SS. Maria e Donato's Cathedral, Pietro Martyr's Church with Paolo Veronese and Giovanni Bellini's paintings, Glass Museum into Giustinian Palace. Once time ago Certosa Island was the site of an important monastery. Today hosts a luxury hotel and its nautical pole. Almost a continuation of Venice in the hinterland, Mestre is a very important crossroads between the island and the rest of the world. This city is very convenient to reach Marco Polo Airport and it offers cheaper price accommodation. Places to visit: Piazza Ferretto, Teatro Toniolo. With its beaches and its numerous hotels, pubs and discos, it is considered as the "Capital of Fun in Veneto". The extremity of Cavallino-Treporti's Riviera which overlooks to Venice Lido and together with it constitutes the harbour of Venice. Punta Sabbioni has fantastic beaches and an important ACTV terminal which connects Jesolo to the islands. 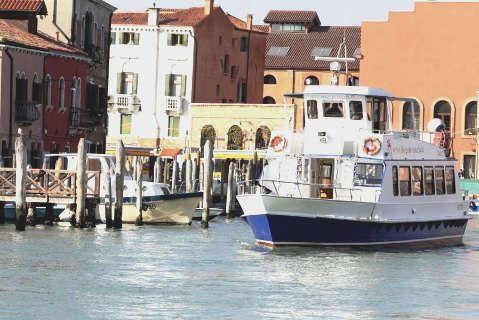 Staying in the Venice's Northern Lagoon islands is something different, it's an unusual experience: either for the tranquility, that cities and touristic places can't offer anymore, both for the atmosphere that permeates this places. Booking a room in Torcello is definitely something mystic. An entire island full of charm, history and mystery just for you, where you can stroll romantically in the evening, after dinner, between archaeological remains and ancient buildings. 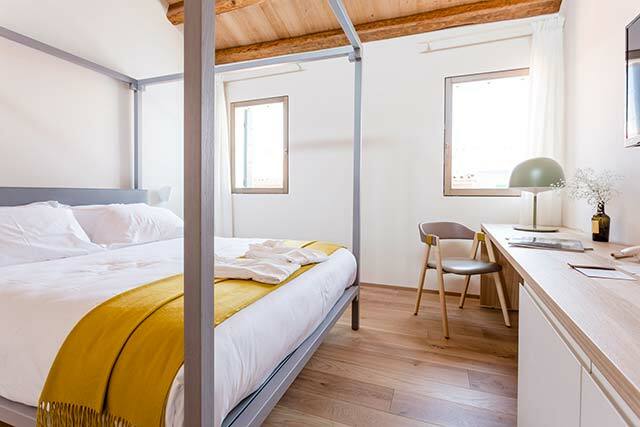 Booking an accommodation in Mazzorbo is the wanted choice for lovers of the rustic atmospheres: an island made of orchards and vineyards, where the good local cuisine is always looking for new recipes to enhance the zero kilometer products. 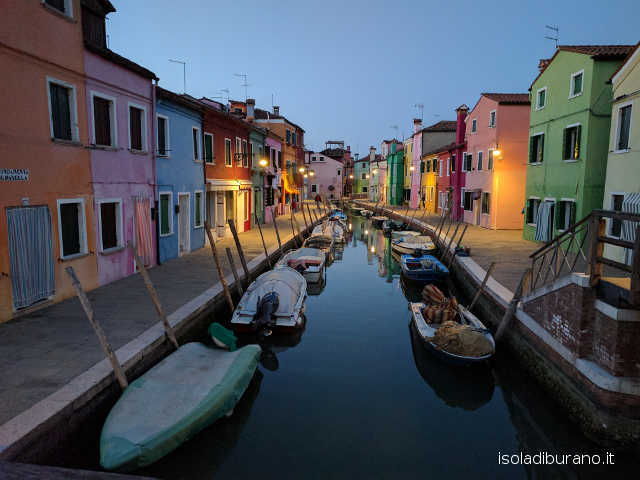 It's the beloved island by joggers and is connected to Burano by a wooden bridge; so you do not need to take any transportation to reach the main square of Burano. The walk is pleasant, relaxing and romantic. 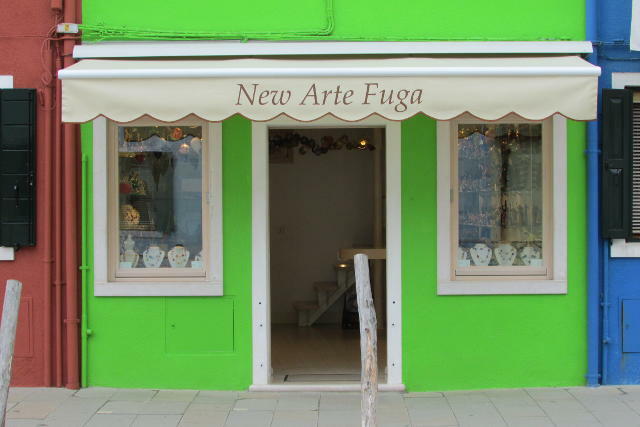 But who wouldn't want to sleep in Burano? Anyone visiting this colorful island left it with a bitter taste, because would like to see how it transforms in the evening. There's little to say, in every place the local life begins at the aperitif time. Imagine yourself sitting in Galupppi Square, drinking an original venetian aperol spritz at the sunset or dining at one of the many restaurants located between the center and the colored banks of the island; savoring Burano's local dishes based on fish, accompanied by the finest Veneto's wines. All this without the anxiety of having to return to Venice, Jesolo or Mestre, why you'll spend the night in Burano. So book your perfect vacation on isoladiburano.it, choosing your room between inns, bed and breakfast, guest houses and hotels. 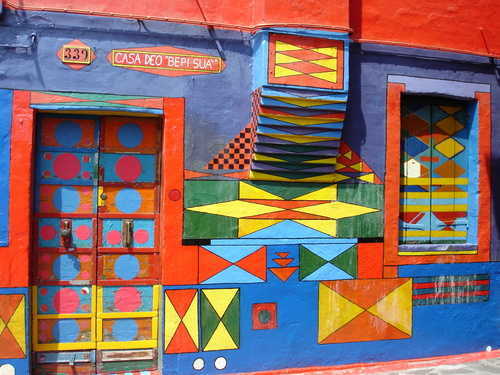 Imagine how it must be magic to sleep in a typical coloured house, which once belonged to a family of fishermen. Many small houses scattered to form an albergo diffuso, a widespread hotel. Christmas, New Year's Eve, St Silvester, Carnival, Virgin Birth's Span, Mayday Span, Madonna della Salute Fest, Christmas' Markets, Internationl Film Festival (september), Biennale (june, july, august, september), Easter.